Revere Ware Parts :: Ebay :: Is Revere Ware collectible? 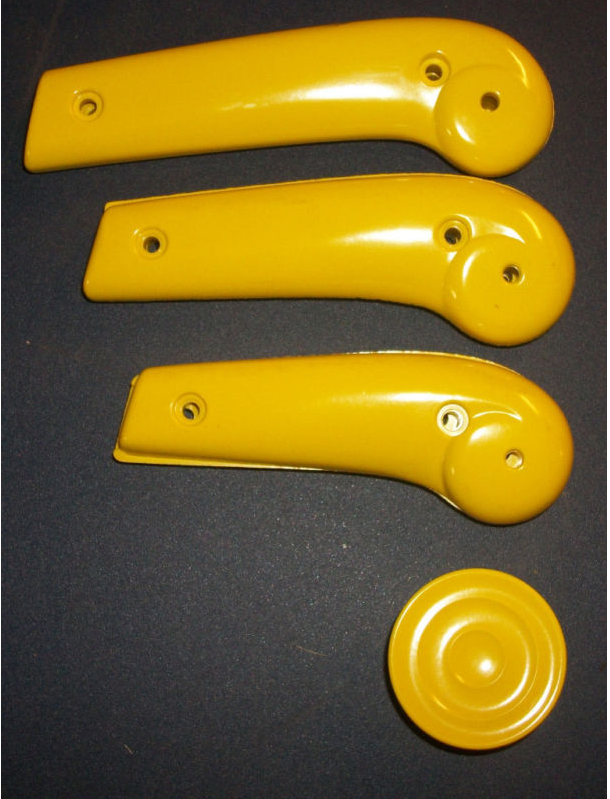 I occasionally see some colored Revere Ware handles and knobs on Ebay and they typically sell for slightly above what you might pay for our black replacement Bakelite parts. But this recent auction for yellow handles and knobs really has me scratching my head. Selling for a whopping $362, I can’t imagine why these parts were considered so valuable by several different bidders. Certainly colored parts are rare, but is it really worth almost $400 to have colored Bakelite handles on some of your Revere Ware cookware? There is another set listed as well. One Response to Is Revere Ware collectible? I was wondering the same thing myself! Are they even genuine?